Hi Guys! Hope you are doing well. I am back to give you nuggets of valuable information related to engineering and technology so you can excel and grow in your relevant field. Today, I’ll unlock the detailed Introduction to 1n4738a. It is a zener diode that comes with high power rating and is mainly used in stabilizing and clipping circuits. The zener diode is slightly different from regular diode as former can conduct in both directions while later conducts in one direction only. It is available in double slug construction with corrosion resistant surfaces, helping to operate it under high temperature and pressure. I’ll try to cover each and everything related to this diode, so you don’t have to grapple your mind surfing the whole internet and find all the information in one place. Let’s jump right in and get down to the nitty-gritty of 1n4738a. 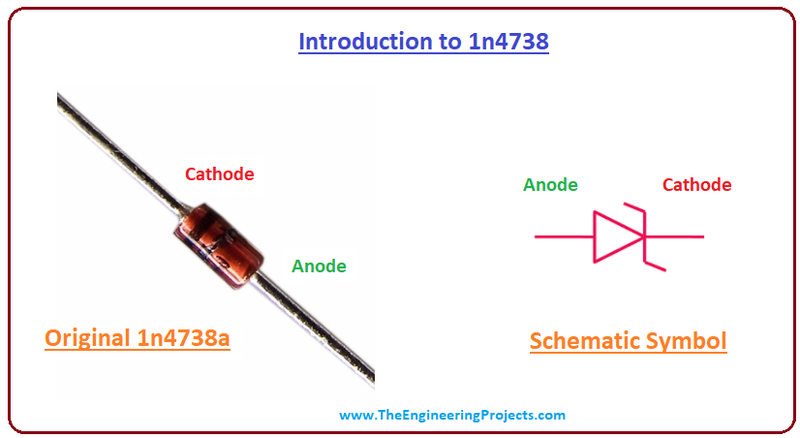 1n4738a is a zener diode that comes with an ability to conduct in both directions. It is a high power device mainly used in stabilizing and clipping circuits. This zener diode features maximum lead temperature for soldering around 230 C. It comes with a zener voltage around 8.2 V and external leads are attached with the body, helping thru-hole mounting. This zener diode is nothing but a p-n junction diode with current capability conducting in both directions i.e. forward direction and reverse direction, featuring very effective working characteristic with a power dissipation of around1300 mW. You can not make it work in a reverse biased condition unless reverse breakdown voltage is achieved before the normal device operation. 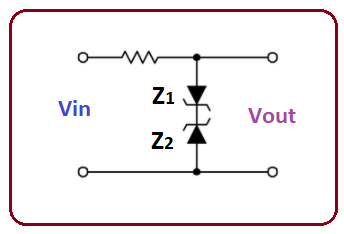 It is important to note that the voltage drop across the zener diode doesn’t change over a wide range of voltages, which makes it a valuable pick for voltage regulation applications. This zener diode is similar to a normal diode when it operates in a forward biased condition. However, working in a reverse biased condition is a totally different story that will only take place when the reverse voltage reaches the breakdown voltage, making diode flow current from cathode to anode. When a wide range of applied voltage is applied, the corresponding current reaches to a maximum point and strive to stabilize itself after some time. This process will make the diode working as a voltage stabilizer. 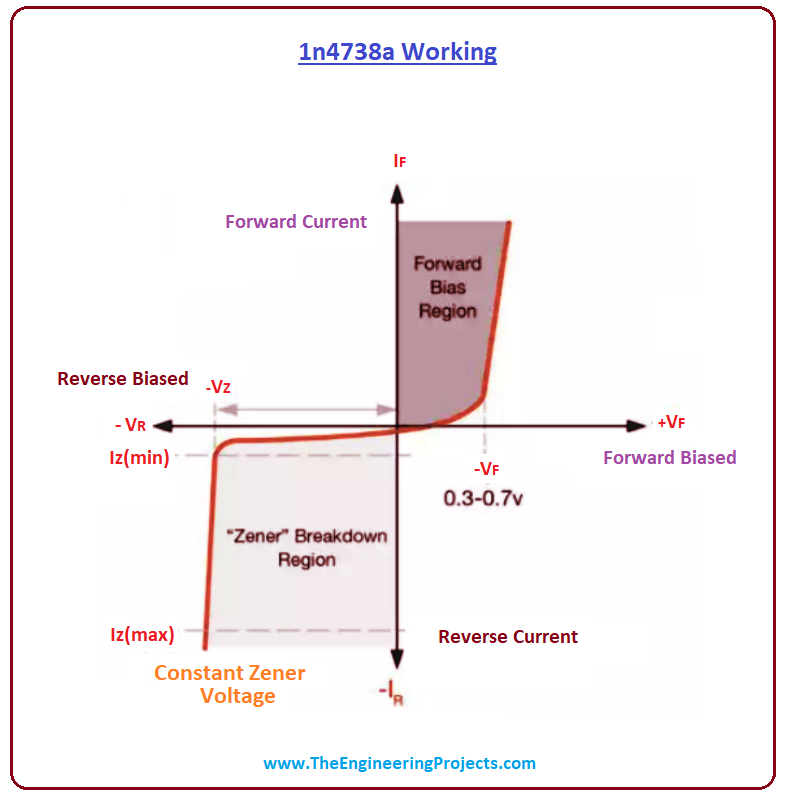 The Voltage Breakdown state can be achieved in two ways: using Zener Breakdown Effect or Impact Ionization. These mechanisms start to happen at 5.5 V and don’t require different circuitry for a flawless working process. However, the temperature coefficient sets them apart from each other as Zener effect comes with a negative temperature coefficient while the impact ionization features a positive temperature coefficient. And both effects cancel each other at 5.5 V, helping zener diode to gain the stable and reliable state over a wide range of temperatures. Following figure shows the absolute maximum ratings of 1n4738a. If stresses are exceeded above these absolute maximum ratings, they can damage the device. Similarly, if stresses are applied for the extended period of time, they can affect the device reliability. This zener diode is widely used in consumer electronics. Following are the major applications it can be used for. Zener diode serves as a waveform clipper when connected in series. In this case, it will clip the waveform from both ends of the cycle i.e. positive end and a negative end of the cycle. In zener diode, the signal we get at the output comes with some major voltage spikes. However, if diodes are connected in series, they impede the diode from producing spikes, eventually modifying the output signal with a smooth waveform. Zener diode is widely used as a Voltage shifting device. As a voltage shifter, it strives to make both output and breakdown voltage equal in magnitude. That’s all for now. I hope I have given you everything you needed to known about 1n4738a. If you are unsure or have any question, you can approach me in the comment section below. I’d love to help you the best way I can. You are most welcome to feed us with your valuable suggestions, they help us provide you quality work. Thanks for reading the article. Thanks for the information about the high power device used in stabilizing and clipping circuits known as zenner diode. this information help in my work.